Eagle Ford Shale Play Maps for South Texas (see the list of counties for more information). 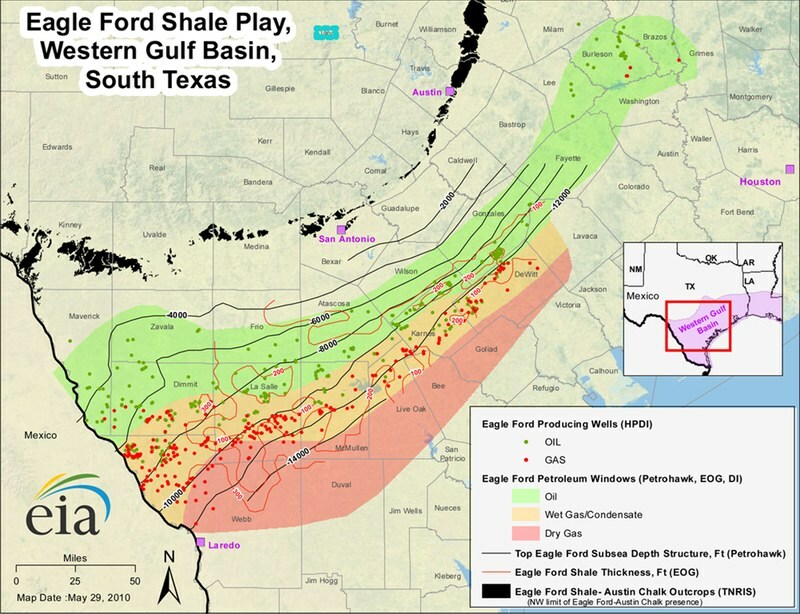 Below you'll find various maps of Eagle Ford Play locations and drilling operations. Visit the company pages for more information on active operators in the Eagle Ford. A map of oil & gas district boundaries in Texas and the Eagle Ford Shale Play. A map of Pipeline Safety divisions established by the Texas Railroad Commission.